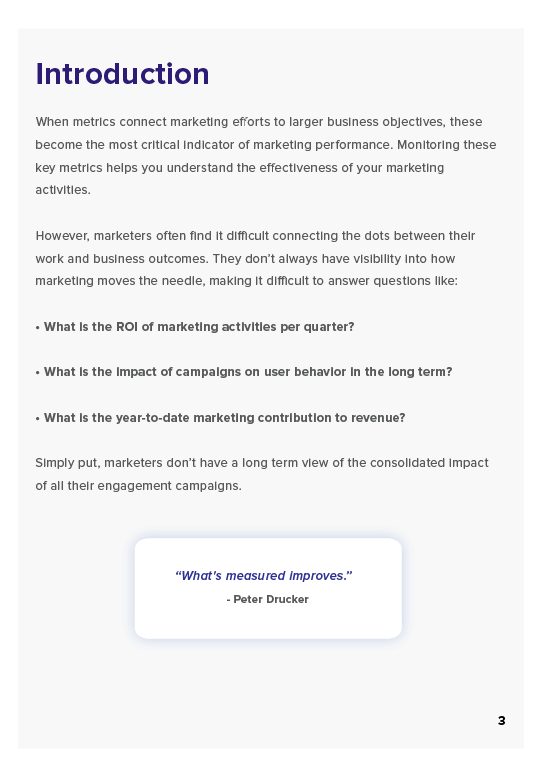 More often than not marketers don’t have access to metrics that tie the impact of marketing efforts to business outcomes. Owing to this, marketers cannot confidently tell if their marketing efforts are working. 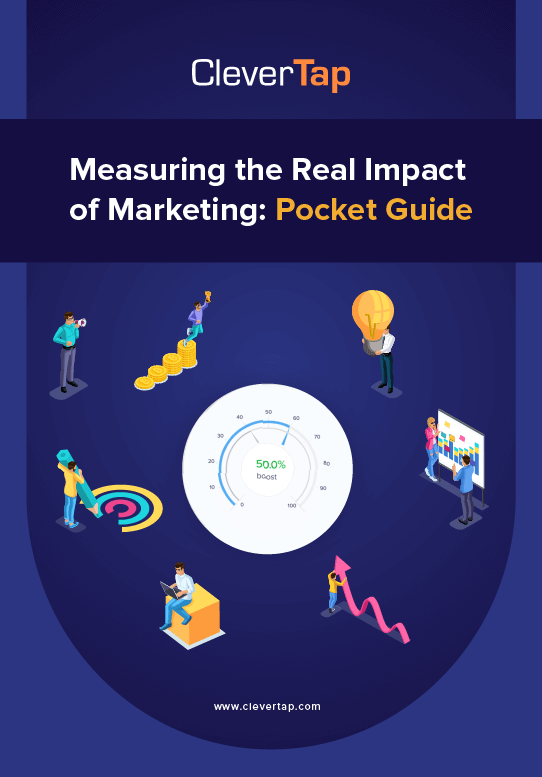 In this pocket guide, we cover how marketers can track the metrics that matter and align marketing activities to business goals. Know the long term impact of your engagement campaign on business critical metrics like average revenue per user. 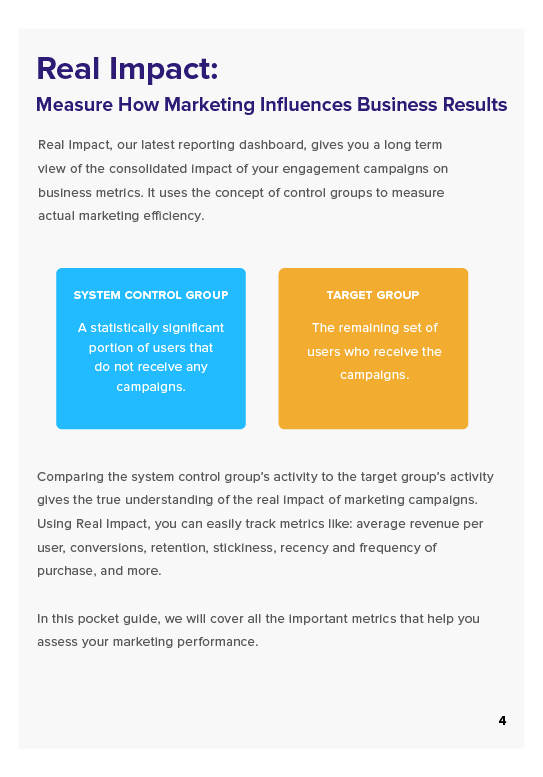 Measure the consolidated impact of marketing campaigns on user engagement and retention during any time frame. 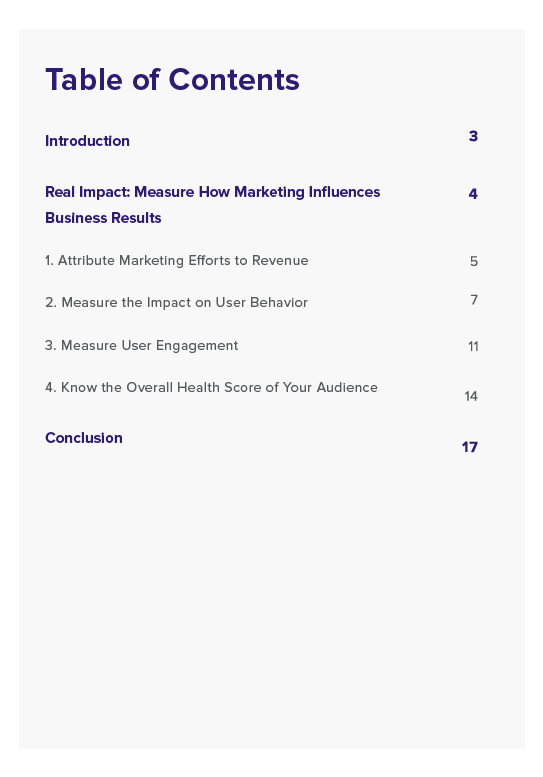 See how your engagement initiatives are influencing user behavior. For instance, track if sending push notifications leads to more app launches or transactions. Leverage automated segmentation with RFM to track how users move from one segment to another.